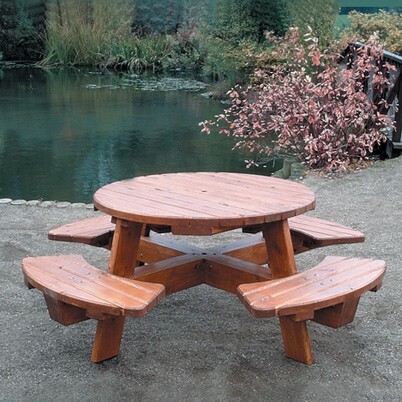 Exceptionally strong, heavy duty, durable picnic table with integral seats. Ideal for parks, beer gardens, clubs and picnic areas. Constructed of softwood treated with preservative this circular table - 2m diameter - will seat 8 people. Note: We can also supply an oval version of this table, which will seat 12 people.